The program ChessSolidarity started small. Of couse, small is beautifull. However, the aim is to grow. With your help, the program ChessSolidarity might grew up and become even more beautifull. You can help with PUBLICITY or MATERIAL or MONEY or IDEAS. Do not hesitate to install our logo and a link on your website. Traffic on internet is small within the chess community and any publicity is welcome. Any material must be new or in very good shape. 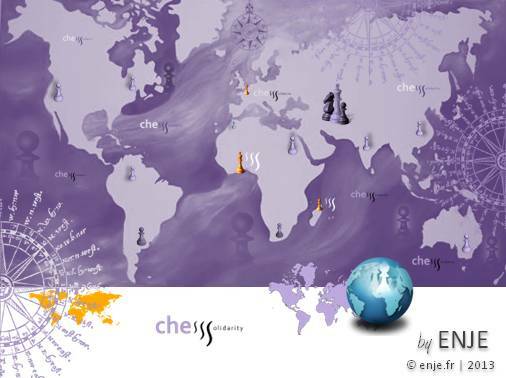 The program ChessSolidarity has been imagined and is administrated by the french non-profit organisation ENJE to which you can send money. Donators may ask to keep anonymous. You have an idea that can help ChessSolidarity ? That's time to contact us.